Give your marketing efforts a much-needed boost with cost-effective and timely webinar transcripts with more than 99% accuracy. 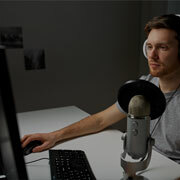 Are you looking for webinar transcription service to transcribe high engagement ratios, webinars to hold an interactive session with your target audience? Are you lacking the right expertise in webinar transcription to carry out the process in-house? Webinars today are an ideal platform for businesses who want to keep their audiences hooked and interact with more users outside their local community. Hosting a webinar is a tough task and needs stringent on-ground preparation. Add to this the fact that most webinar conductors require verbatim transcripts for SEO and better keyword-related searches. Transcripts also ensure that the audience remains further engaged by being able to go through the particulars as and when they need it. 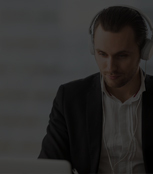 Being a highly detailed record, you need a webinar transcription service provider who can ensure all your webinars are transcribed properly for subsequent distribution. Before conducting a webinar, most of our clients need to perform qualitative research and keep a careful track of the records and notes. Many researchers also prefer using an audio recorder to keep track of their thoughts and plan out the entire sequence of the webinar. By outsourcing your requirements to us, you can access 100% accurate transcripts which in turn allow you to plan your webinar to perfection. Legal webinars are one of the most content heavy webinars and have a lot of technical terms which are relevant to that field. Transcribing the webinar not only helps keep the attendee lawyers informed but also ensures that proceedings are available for anyone looking for the information online. Webinars are one of the best low-cost solutions to capture new leads and engage with audiences in real time. Our interactive transcripts enhance user experience and are perfectly paginated to ensure linking opportunities. Our transcript can also accompany your video on YouTube etc, increasing the SEO for your video. Webinar Transcription - Why Is It Best for your Marketing Efforts? Our transcripts are completely accurate and are a textual representation of your webinar performance. Since search engine performance is directly related to textual indicators and page performance, our transcripts can directly lead to better search engine marketing for your business. Since transcripts contain more text than summaries and have a naturally higher amount of keyword density, a typical transcript for a webinar can serve a better purpose when it comes to potential audience discovering your content and business. According to a recent study, pages with transcripts earn 16% more revenue on average compared to pages without them, which in turn means guaranteed ROI. A key goal of SEO is better user experience. As a webinar transcription company, we believe that adding a transcript along with the video of the webinar can increase the duration users spend on your site while providing them with a better user experience. We can create interactive transcripts which command the viewer's attention by highlighting the words as they are spoken on screen and scroll with the video tracking whatever is played. Users can sometimes even click on a word further down and see the video jump to that location. This enhanced user experience can directly lead to better user acceptance for your products or services. Like how news sites usually break out long-form content over several pages, paginated transcripts for webinars can provide you with better interlinking opportunities and increase your site size. We can also help you split the transcripts by section or topic so that your delivery medium stays focused. 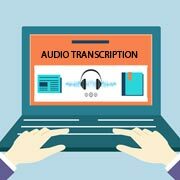 When you outsource webinar transcription services to us, we can help make long transcripts better to go through for users as well. By translating your webinar content into a host of different languages, we can help you reach out to an international audience and penetrate international markets. Our focus on creating exceptionally accurate transcripts ensure your translated content always sit well with your international viewers. You can even turn the transcript into subtitles, ensuring your webinar page gets indexed properly and ranks higher in search results for other languages. Why Should You Outsource Webinar Transcription Services to O2I? Being an ISO 9001:2015 accredited webinar transcription company, we ensure all your content is documented for future reference as soon as you send the requirements to us, and efficiently convert all your recordings to text. We adhere to ISO 27001:2013 and other international security protocols so that your information always remains safe. We leverage the latest in information storage methods to store your private information and sign expansive confidentiality and non-disclosure agreements for your peace of mind. With O2I as your partner, things like grammar, tense, punctuation, etc. never bother your transcripts, which go through the careful eyes of a QA proof-reader for additional control over quality. However, this is a service that many other service providers can't match or have a very rudimentary sense of. The turnaround time for webinar transcription is shorter allowing you to focus on several important concerns without worrying about the nitty-gritty. We ensure that you get reliable and accurate transcripts that are valuable for strengthening the relationship with customers. We can design a scalable transcript template that ensures all the transcriptions we carry out for you follows the same outlying methodology with an increase or decrease in your requirement. Our template will match your brand guidelines, have a formatting style which suits your style, and more. Our budget-friendly rates are customized based upon your express needs, and we do not charge exorbitant hidden fees like most other companies usually do. A direct result of our fair and transparent services is the fact that most of our partners have us on retainer, with our teams working on more than 90% of their transcription requirements. Along with the service, you will be assigned a fixed project manager who will stay in touch and provide timely insights. Therefore you can count on our fixed resource to stay on top of the latest developments in the project. With a team comprised of expert transcriptionists with over 5 years of experience on average, you can be assured your transcripts are correct and accurate as per your requirements. Transcribing requires a lot more time and effort and attention to detail which not many possess, so you can be assured that when you outsource your webinar transcription services in India, you are working with the best service provider possible. In this online world, our transcription services move at the pace of your emerging requirements. That is why, if so required, we ensure the final transcripts are ready to be shared online, with full control over grammar, tonality, punctuation, page breaks, hyperlinks, and more. Data sharing is fast and secure thanks to our SFTP and VPN. This system lets you send data in a secure way without drawing the attention of hackers and other unethical elements. As an ISO-certified company, we take our client's expectations extremely seriously. Our processes are built from the ground up to be reliable, and if you require further changes to your transcript owing to some last-minute changes, we always accommodate them without any extra charges. At O2I, we believe in providing the best quality transcription services and other ancillary services in order to help our clients receive 360-degree service while ensuring a strict hold over the final output quality. If you are looking for a webinar transcription service provider who offers the best business transcription services at cost effective rates, then O2I is the right choice for you. Contact us right away and outsource your transcription needs.